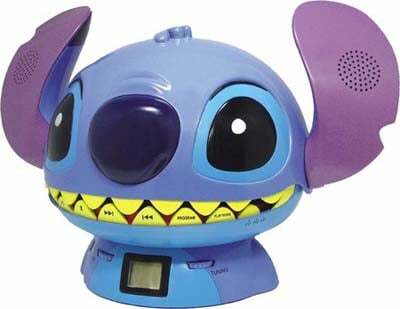 These cute speakers have been based on Stitch from from Disney’s popular series ‘Lilo and Stitch’. 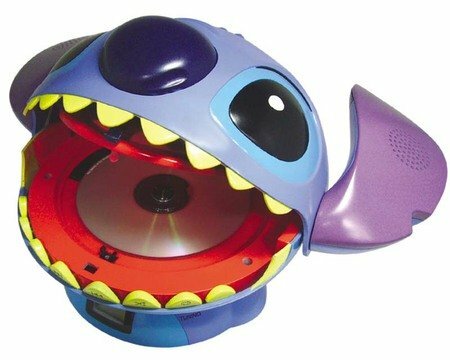 The mouth of Stitch opens wide to reveal the CD tray, the ears double up as speakers and the teeth become controls. When powered by mains the eyes light up in green. It packs in a AM / FM tuner and the onboard speakers deliver an output of 0.6W—2ch. The unit runs on 3 x D sized batteries for an hour, it measures 330—220—225mm and weighs 1kg.